BIOPRO, LLC offers hoarding clean-up services throughout Tempe, Mesa, Flagstaff, Tucson, and Phoenix. Offering more than comprehensive property clean-up solutions, we help deal with the consequences of compulsive hoarding with our property clean up, trash clean up and odor removal services. If you or someone you know is a hoarder that requires extensive clutter clearing and/or decontamination services, the knowledgeable, compassionate disinfection technicians at BIOPRO will help to return you and your family to a cleaner and more manageable lifestyle. Cleaning grimy, dirt-covered houses is a complicated and time-consuming job, especially in cases of hoarding, but our team can help you today. 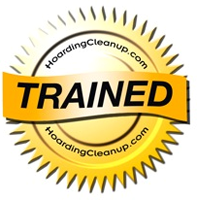 Hoarding is an extremely serious issue that traditional house cleaning services are not prepared or experienced enough to handle. BIOPRO, LLC utilizes state-of-the-art equipment to help you get your home back to full working order. More than a traditional house cleaning service, we deal with the heavy-duty work associated with cleaning a hoarder's property. For example, hoarding can cause disease from unsanitary conditions, increase the possibility of vermin and insect infestations increase the potential for injuries, and, in worst case scenarios, can even cause fires. BIOPRO's skilled and respectful cleaning professionals have experience with different types of Phoenix hoarding clean up jobs, and we are here to help you make a positive change for the future. 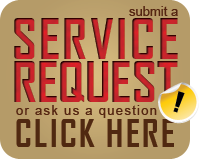 For more information about our specialized cleaning services in Mesa, Glendale, Peoria, Tempe, Scottsdale, Chandler, Gilbert, Tucson, Flagstaff, Sedona, and Phoenix, please call us toll free at 877-492-7549. Hoarders and families of hoarders have a friend in BIOPRO, LLC and you can depend on our years of expertise to help return your home to normal in a quick and affordable manner.